Godly Play, which meets at 10 am following the Family Service, serves our youngest school-age parishioners—those in pre-K, kindergarten and first grade. The focus is on engaging children in the joy and wonder found in religious teachings. The Godly Play curriculum is an imaginative approach to religious education influenced by the Montessori method, which encourages teachers and children to be partners in learning. The lessons are hands-on, and children are encouraged to question and explore. The course draws parallels between the Biblical Gospel of compassion, mercy, justice, truth, faith, hope and love, and the children’s daily lives. A dedicated team of teachers and assistants rotates throughout each month to lead Godly Play. For further information about enrolling your child in Godly Play or to learn about becoming a teacher yourself, please use the Contact Grace form. Living the Good News Sunday School classes, meet at 10 am following the Family Service, are for students in the second through fourth grades. 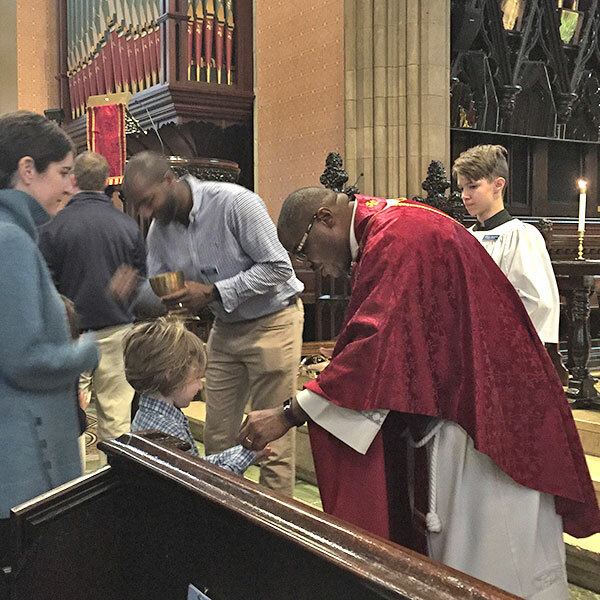 The curriculum, supplied by Morehouse Education Resources, is synchronized with the lectionary, so the children study the lessons read at that Sunday’s Family Service. 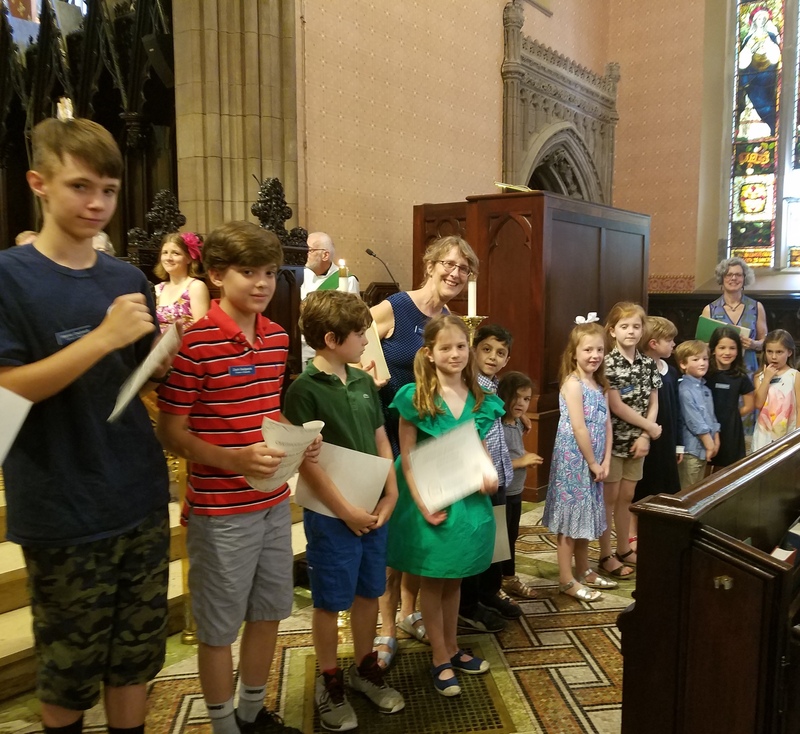 One-hour classes led by experienced and dedicated volunteer parishioners include discussions, drawing, contests and great works of religious music and art. While weekly attendance is encouraged, drop-ins are welcome. To learn more about Living the Good News Sunday School classes, please use the Contact Grace form. Using an engaging, discussion-based format, Journey to Adulthood draws young people into thoughtful consideration about what it means to be a faithful adult in today’s world. The program is based on the key concept that “Personhood is a gift from God, but Adulthood must be earned.” It encourages teens and ‘tweens to explore all areas of their developing selves and to learn to connect their faith to all areas of life. The class meets during the program year, generally on the last Sunday of the month at 10 am. To learn more about Journey to Adulthood classes, please use the Contact Grace form. 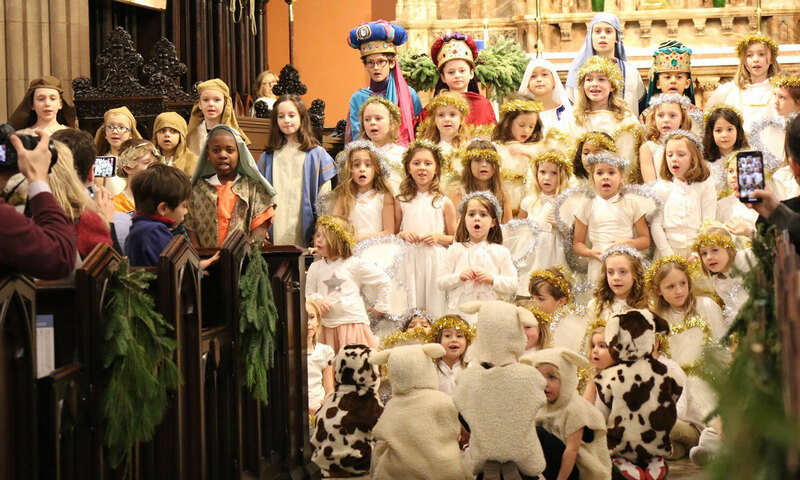 Grace Church’s annual, spectacular presentation of the Christmas story occurs during Advent. Children and their families commit to a small number of weekend rehearsals, where they learn the staging and their parts in the script. The final performance includes costumes, music and lifelong memories for all. For more information about your child’s participation in the pageant or to lend your talents, please use the Contact Grace form. Rector’s Tuesday Bible Study. Please know that you are invited to join us each Tuesday, from 10:30 am to 12:00 pm in the Choir Room, for bible study and conversations around interpretation, application, social justice, current world events or a host of other topics that may surface during our time together. We really do have a lot of fun and we invite you to come and join us! Right now, we are studying the Gospel of John. Each class is independent of others; therefore, you do not have to play “catch up” in order to participate. If you have any questions, please don’t hesitate to reach out to me! The Rev. Dr. Allen F. Robinson, Rector. 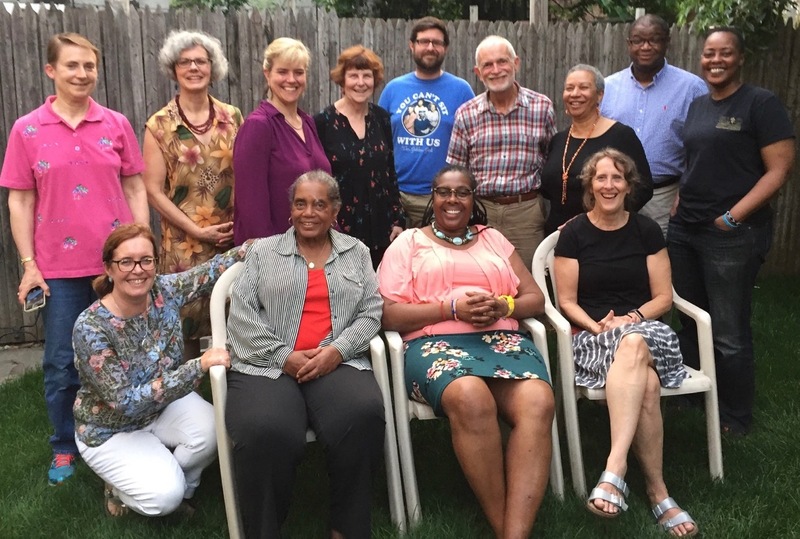 Education for Ministry (EfM) is a ministry formation and theological education program for lay persons. The four-year program meets weekly, from September to June. Trained mentors lead participants in study and discussion of the Bible, church history and theology. 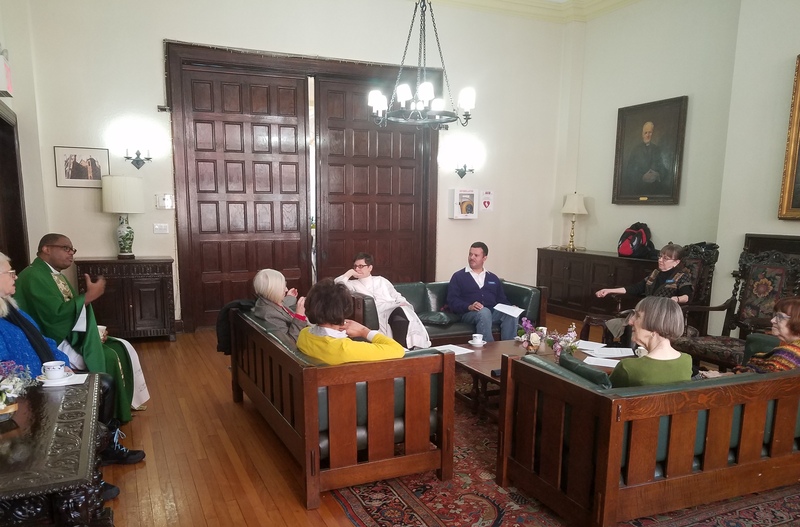 EfM provides a foundation for theological development through study, prayer and group activities, and guides students in discerning and nurturing their ministries. Sharing this journey supports individual confidence and mutual growth. EfM creates an informed, active and knowledgeable laity. For more information, please use the Contact Grace form or visit the EfM website at www.efm.sewanee.edu. The Grace Education for Ministry group is now taking names for several openings in September. Participants commit to meet Wednesday evenings for 36 weeks each year to study, reflect and explore lay ministries in the world.